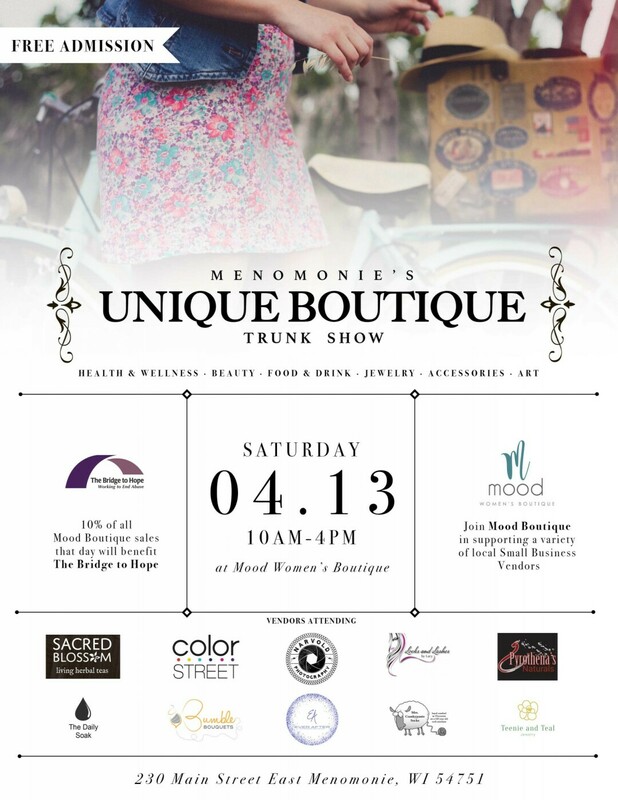 Join Mood Boutique in supporting a variety of local vendors. This show has unique small business vendors ranging from health & wellness, beauty products, jewelry, accessories, food & drink and more. Mood Boutique will donate 10% of their sales that day to The Bridge To Hope, an organization benefiting women involved in domestic abuse.